UN High Commissioner for Refugees says the private sector can drive change. While global headlines on refugees can be dominated by alarmist views, there’s a quieter revolution under way. This is driven by pragmatic, entrepreneurial people who see opportunities where others see threats, and who understand that refugees can lead productive lives in exile, given the right environment, and the right support for the communities in which they settle. The private sector is vital to this effort, and is central to the aims of the global compact on refugees that I am asking the UN General Assembly to support this year. In 2017, the number of refugees grew by 10 per cent to 25.4 million — the biggest jump UNHCR has seen in a single year. Contrary to popular misconception, 85 per cent of those refugees live in developing regions of the world. Many of these places are desperately poor, while programmes to support the refugee populations they host are perennially underfunded, barely meeting refugees’ immediate needs, let alone their aspirations to live productive, meaningful lives. It’s clear that we need a new, more sustainable approach, one that isn’t dependent on the vagaries of politics, contributions from a handful of donor countries, or wishful thinking that the conflicts forcing refugees from their homes will end quickly. The global compact offers a blueprint for a way forward. Among its aims are to ease the pressure on hosting communities and countries and to help refugees become more self-reliant. It envisages a new cross-society partnership, in which innovators, experts and contributors from all segments of the community are brought on board. The private sector has a crucial role to play — whether through providing investment and jobs in areas hosting refugees, making refugees part of their value chains or helping humanitarian agencies innovate to better deliver assistance. The mobile technology sector is one area where a number of companies have already grasped the strong business case for getting involved. Mobile connectivity is as central to refugees’ lives as to yours and mine. From Lesvos to Cox’s Bazar, I have been struck over and over in recent years by the sight of refugees climbing the nearest hill and holding up their mobile phones to get a signal, or searching out the nearest WiFi connection. Charging stations are as common as aid distribution points in refugee camps. 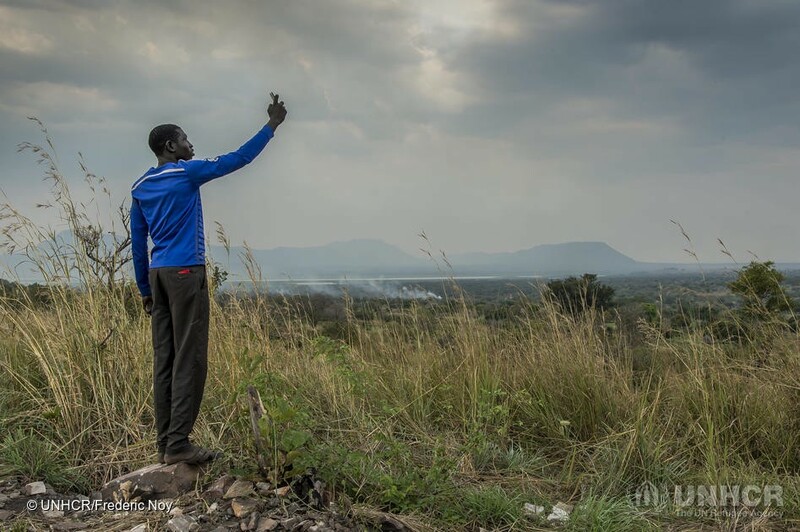 A South Sudanese refugee tries to get signal on his mobile phone in Nyumanzi refugee settlement, northern Uganda. 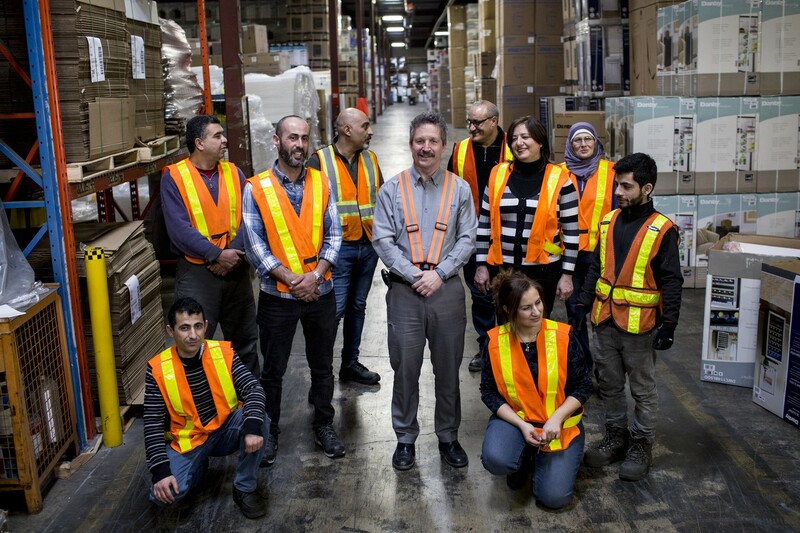 There is an ever-growing need for refugees to be connected, whether for staying in touch with loved ones, studying, or running a business. But the places where refugees live are often in under-developed areas that lack basic infrastructure. Meanwhile, refugees often struggle to afford handsets and mobile services or lack the necessary ID documents to get SIM cards. For telecommunications companies willing to innovate and to collaborate with governments and aid agencies, refugees represent a significant opportunity. In the past two years, mobile network operators have started working with UNHCR, national regulators and development actors to bring connectivity to some of the world’s most remote refugee settlements. Charging stations are as common as aid distribution points in refugee camps. For those refugees who do get connected, the benefits can be transformative — opening up a wealth of education and training opportunities that are crucial in restoring a refugee’s future. Here, too, the private sector is helping us leverage rapid advances in technology. UNHCR has teamed up with a consortium of universities committed to opening up their programmes to refugees by combining digital education with face-to-face tuition. So far, more than 7,000 refugees in Africa, Asia and the Middle East have been given a chance to earn diplomas from universities in the US, Canada, Switzerland, Kenya and Australia. Forward-looking businesses have worked with us to overcome barriers and gain new customers. There are still challenges and we need more collaboration to address them — whether this means mitigating the risks for companies wanting to invest, or advocating enabling policies to support companies and refugees. We want to see these efforts scaled up and replicated across the globe and in different sectors, from financial services to renewable energy to education. Gaining access to these goods and services will pave the way towards refugees’ inclusion in local economies. There are commercial benefits for those willing to enter this new market. But it will take bold companies to step up and help us drive this mindset shift — from viewing refugees as aid beneficiaries, to seeing them as potential customers and contributors.